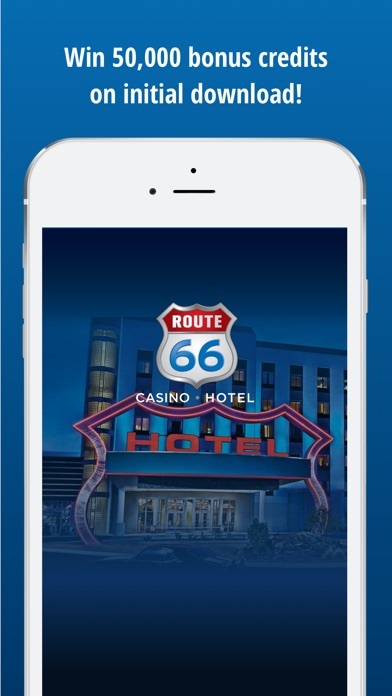 Download the official Route 66 Casino Hotel mobile app today for a whole lotta’ thrills! Experience everything that Route 66 has to offer from wall-to-wall entertainment, to the award-winning food, and of course the 50,000 square feet of pure gaming action, right here in the heart of New Mexico. Whatever your game, we’ve got you covered! Features Include: CASINO Looking for thrills? You’ll find them here! 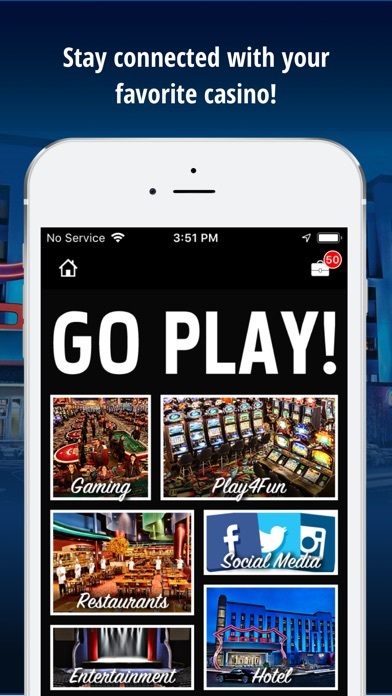 Use the app to get more information on our 1,700 slots, blackjack, craps, roulette, poker, and bingo. 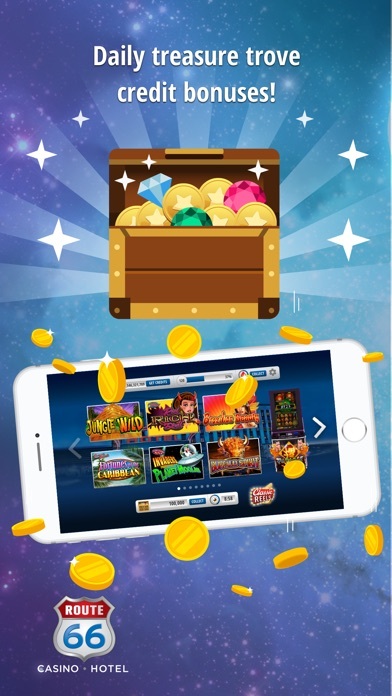 MOBILE CASINO Put Route 66 in your pocket! 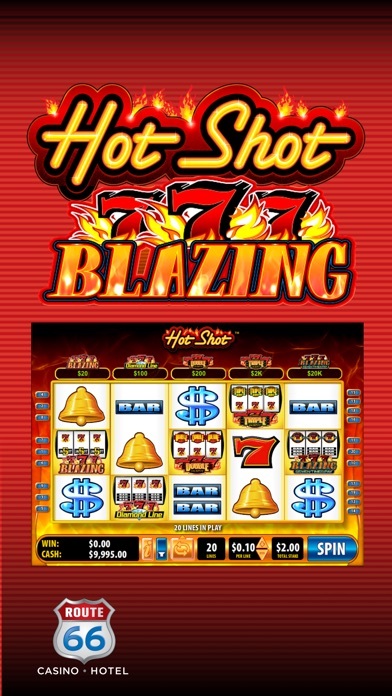 Get instant access to Route 66's free slots on your mobile devices. Enjoy authentic slot content with free-to-play versions of your favorite slot games. You’ll have access to free-play versions of some of your favorite games from our casino, including Bier Haus™, Forbidden Dragons™, Reels O’ Dublin™ and more! HOTEL Our mobile app has info on our hotel rooms and a convenient way to book by telephone or online. We’re conveniently located just 20 minutes from downtown Albuquerque. Come for the fun, but stay for the comfort! ULTIMATE REWARDS Get info on your Ultimate Rewards membership! Find out how you can earn free play and double points, as well as earning rewards 10x faster at the tables. DINING AND NIGHTLIFE Whether you’re looking to make a reservation at the Thunder Road steakhouse, or kick back in the center of all the action at the 360° Lounge, the app has got you covered. Get info, menus, hours of operation, and more for our mouthwatering restaurants and thirst-quenching lounges. MAPS AND INFO Drop a pin on our overhead GPS map to remember where you parked or easily get directions from your current location. Our contact directory can also put you in touch with the casino via phone or email with one tap. GET SOCIAL Find out about the latest buzz before, during and after your visit to Route 66. Connect with us on Facebook, follow us on Twitter, or check out our YouTube channel. You can also share content in the app with your friends and family! ...AND MUCH MORE!